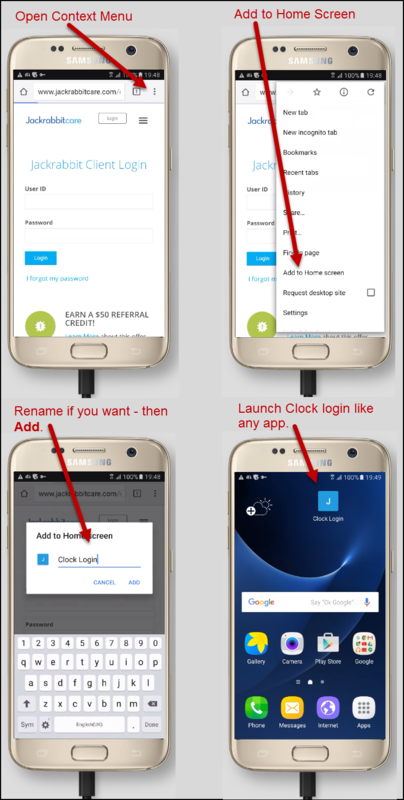 Your Clock login page can be saved to your iPhone/iPad/Android device just like an app. Once it is saved it can be launched via an icon just like any other phone app. After you have navigated to the login page, open the context menu by clicking the square with upward pointing arrow icon centered at the bottom of the screen. From this menu click Add to Home Screen. After you have navigated to the login page, click the 3 vertical dots in the upper right hand corner to open the context menu. 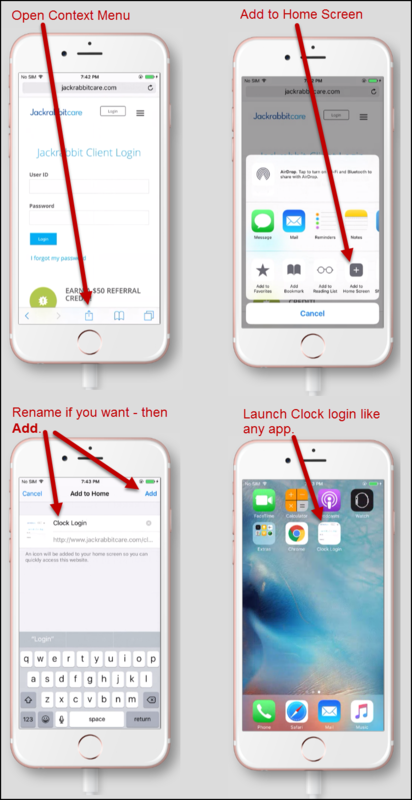 Then click Add to Home Screen to save as a web app.